We woke up to blizzard conditions. The weather forecast had been telling us this was coming for the past few days but I refused to believe it until it was actually here. The snow was falling and the high winds accompanying it were creating immense snow drifts. It was fascinating to see how the snow was being sculpted. The drifts on the driveway meant that I didn’t have to go anywhere and I looked forward to a quiet day to reflect and write. Soon the house started to cool off and turning up the furnace didn’t help. It would come on and then seem to blow out again. The little bit of air that did come through was definitely not warm. 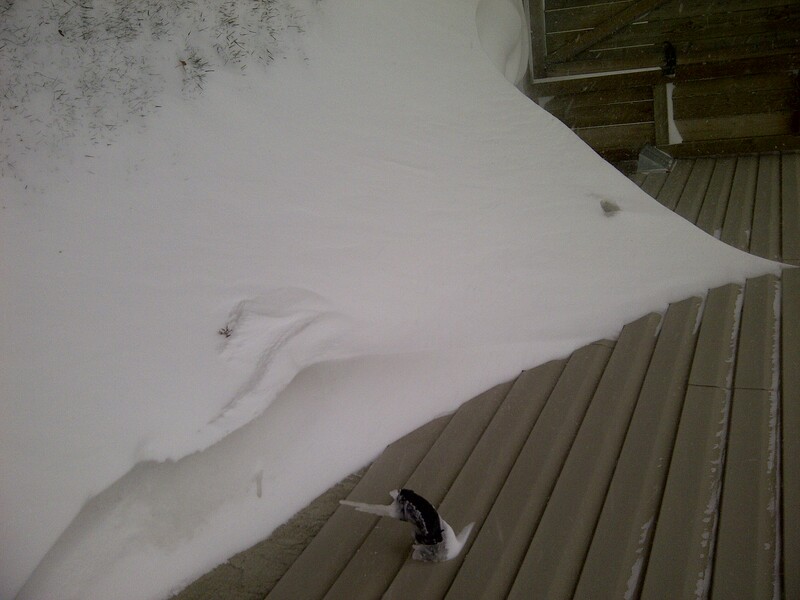 My husband went outside to investigate and found a large snow drift up against the side of the house, completely blocking the furnace vent. When the fresh air couldn’t be accessed, the furnace wouldn’t work properly. Soon he had it cleared off and heat started to return to our home. This was another reminder to me not to let things pile up in my life. When the wind blows, my pile of “stuff” causes a chill that makes everything and everyone around me uncomfortable. The warmth disappears and the only way to regain it is to clear away the drifts that caused the problem. Depending on the amount to be cleared, this can be a daunting task. I may not have the words or know how to pray for what is needed, but the Holy Spirit breathes fresh air and life into me. The Spirit interprets what is in my heart. God understands and by coming to him in prayer daily, I can keep those drifts from forming. At the same time the Spirit also helps us in our weakness, because we don’t know how to pray for what we need. But the Spirit intercedes along with our groans that cannot be expressed in words. The one who searches our hearts knows what the spirit has in mind. The Spirit intercedes for Gods people the way God wants him to. Romans 8:26-27 God’s Word Translation.